This week we've been reading a favourite winter time story! 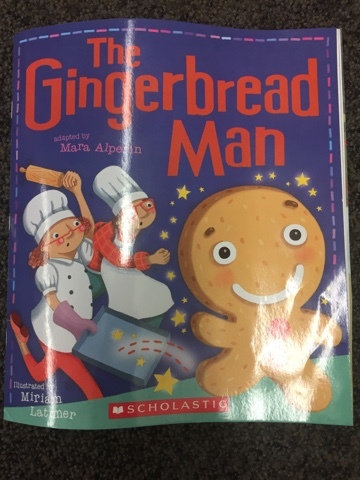 The children love the adventures the Gingerbread Man has as he runs away from the different characters in the story. They are always so sad at the end when he is eaten by the fox! 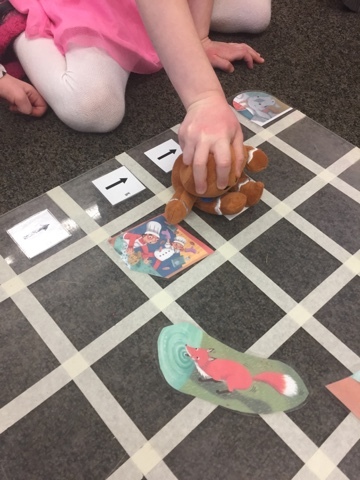 Today I challenged them to retell the story and help the Gingerbread Man outsmart the bakers, cow, goat, cat and fox by using a coding game. 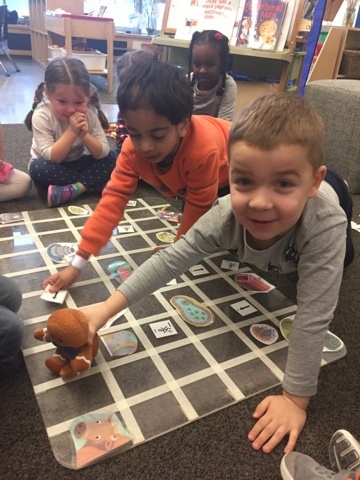 This activity helped the children to strengthen their retell as they recalled the story and sequenced the events of the story, and encouraged them to practise their coding skills, specifically oral language related to directionality and number. 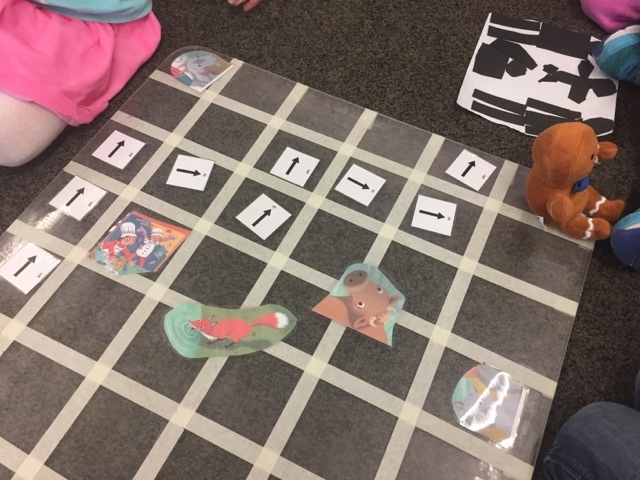 First the children placed the different characters on the coding board in order that they are introduced in the text. 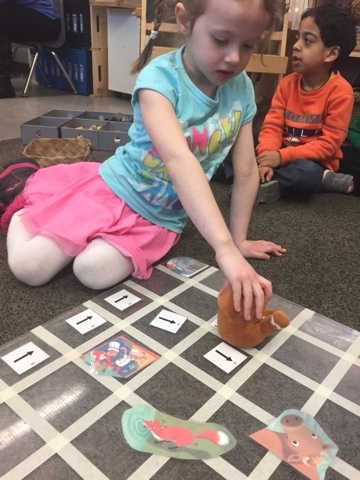 After determining the starting and ending location for the Gingerbread Man, the children gave each other oral directions to help move the character around the obstacles in order to avoid them. 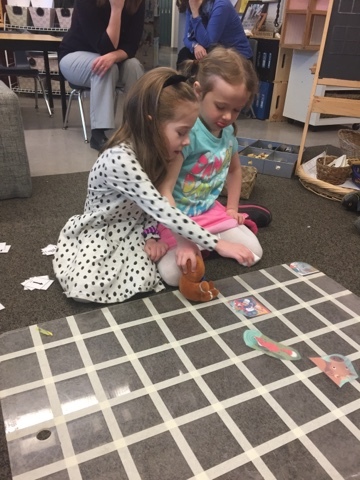 It was a great way to practice counting, directions, and giving and receiving directions while recalling the events of the story! In order to make the next attempt more difficult, we added additional obstacles from the story including a barn, pond, haystacks, and a forest. The Gingerbread Man would need to maneuver around these obstacles as well as avoiding the many characters that wanted to eat him! 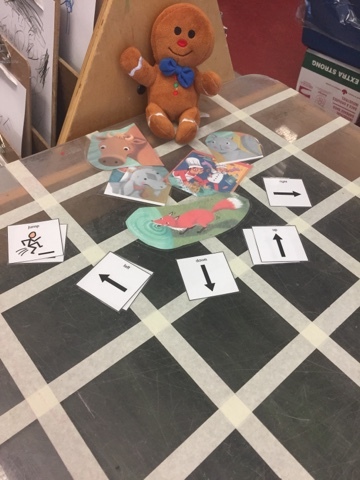 The children loved this challenge and worked together to successfully guide the Gingerbread Man! 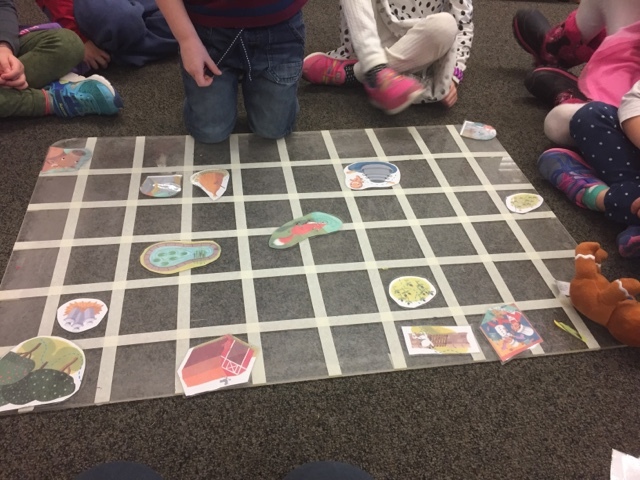 They had some interesting ways of moving him around the grid and were eager to create very challenging obstacles for their friends to work around!